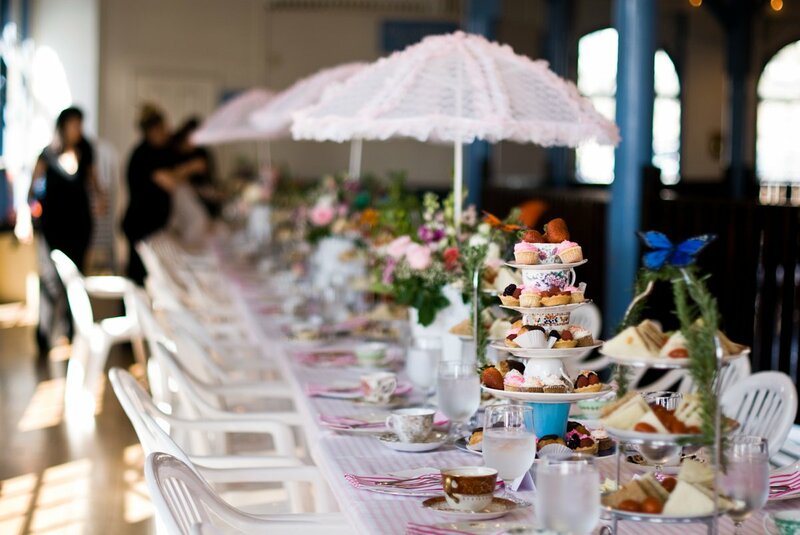 Celebrate with a practically perfect in every way Mary Poppins themed tea party. 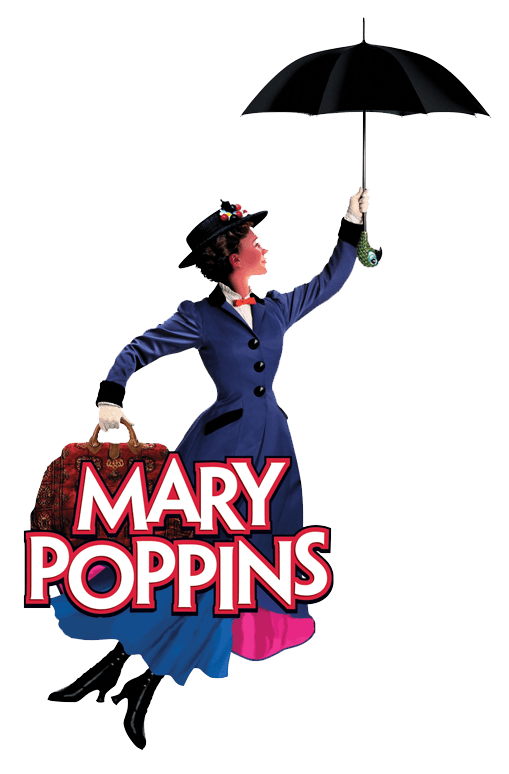 Jane Windsor shares some of her tips on how to host your very own Mary Poppins tea party, perfect for a kid’s birthday party, or to celebrate the release of the new movie in December 2018, featuring Emily Blunt as Mary Poppins. Please note: Jane does not offer children’s parties, but if you would like a catered adult tea party please take a peek at our menu. Create a playlist of the movie soundtrack and have the guests singalong. Have each child create their own sidewalk chalk art – just like Bert does in the book and movie. 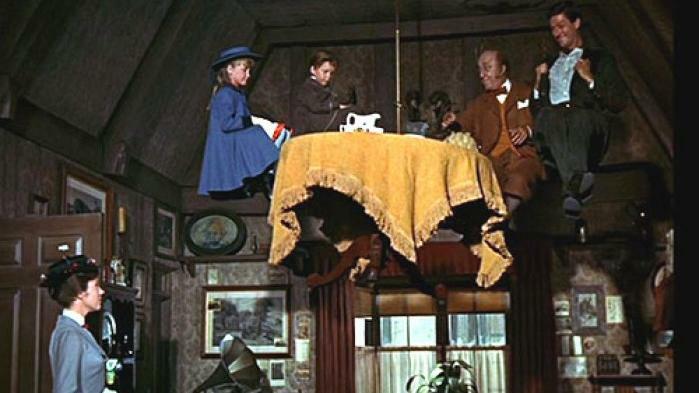 Gold tablecloths mimic the gold tablecloth in the floating tea party scene of the movie. Hang a “floating” umbrella over the center of the table using invisible fishing line. Just a spoonful of sugar and a dash of milk.